Saudi Crown Prince Mohammed bin Salman. Photo by Nicolas Asfouri/Getty Images. We don't yet know what happened last week to Jamal Khashoggi, a journalist who disappeared after visiting the Saudi Arabian consulate building in Istanbul. Turkish officials claim he was murdered, and that his body was removed. The Saudis call such allegations preposterous propoganda, and that Khashoggi left unharmed shortly after arriving. Aramco IPO: The largest IPO in history was supposed to take place in 2018, but Saudi Crown Prince Mohammed bin Salman tells Bloomberg that the delay should not be misinterpreted as a cancellation. Instead, the new target date is 2020, with MBS saying a strategic decision was made to have Aramco first obtain a control stake in Saudi petrochemical giant Sabic, with the IPO to follow one year later (i.e., 2020). 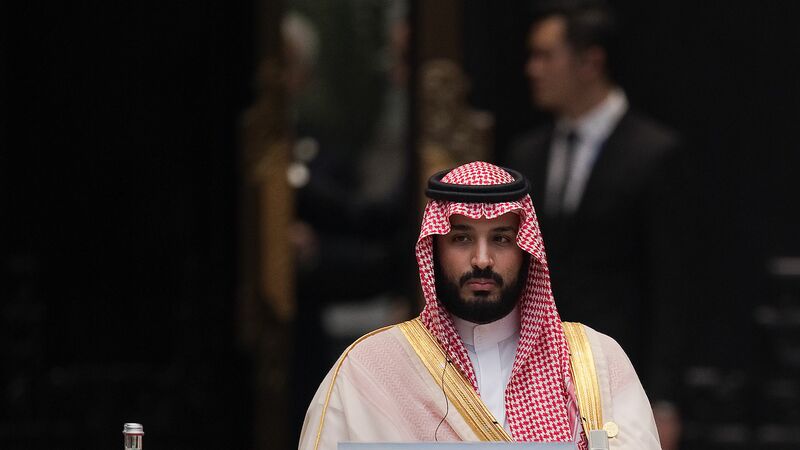 SoftBank Vision Fund: MBS said in that same interview that the Saudi Public Investment Fund plans to commit another $45 billion or so to SoftBank's next Vision Fund. Both of these deals are, in part, predicated on beliefs in MBS as a reformer. Were the Turkish allegation substantiated, then it could become much tougher for Western bankers or exchanges to work on the Aramco IPO, or for Masayoshi Son to accept Saudi as the ongoing capital cornerstone of its evolution into an investment company. Expect more clarity on how this is playing among the global business elite in two weeks — pending definitive resolution on Khashoggi's fate — when we learn who chooses to attend Saudi's second annual Future Investment Initiative conference. "Having a popular product and brand is now table stakes. What we're looking for beyond that is teams that understand dislocations in their markets, and an idea for how to bring something new to the business model. Something the incumbents are too sleepy to notice, or something consumers are pushing for." "The success that's unfolding with Walmart's purchase of Jet is helping to give some of these big [commerce] companies permission to not only buy startups, but also invest in them at the earlier stages." • Today in ex-Tesla: Justin McAnear last month resigned as VP of global finance and operation for Tesla, in order to take a CFO job at an undisclosed company. Now we've learned his new employer: 10X Genomics, a Silicon Valley genomics company whose investors include Fidelity and SoftBank. There were reports last week that Juul was "raided" by the FDA. And, for the record, I also used that term on the podcast. But the reality is that it was a so-called "tobacco manufacturing inspection" that Juul had been expecting (it simply didn't know when, as is standard). Just a few guys in suits, buzzed in through reception. Juul filed a patent infringement complaint against 18 e-cigarette manufacturers and groups via the International Trade Commission. If the FDA does pull flavored product, that would include Juul's best-selling mango. It could still sell traditional flavored pods (tobacco, menthol, etc) and likely would accelerate international expansion efforts. 🎧 Pro Rata Podcast: Special edition this morning, with highlights of a recent "Tech in the Age of Trump" conversation with Anthony Scaramucci and Brex CEO Henrique Dubugras. Listen here. The Blackstone Group, The Carlyle Group, Onex Corp. and Canada Pension Plan Investment Board are working on a joint bid for aluminum parts maker Arconic (NYSE: ARNC), per Reuters. Why it's the BFD: Because this could signal that big buyout firms are beginning to get over their decade-old aversion to large club deals. Plus, Arconic remains under pressure from aluminum tariffs, including ones on Canada that were not rescinded as part of the recent trade deal. Not alone: Apollo Global Management was first mentioned as a suitor back in July, and reportedly remains interested. • Catalyst Labs, an early-stage VC fund led by Jon Sakoda (ex-NEA) that features Cisco as its cornerstone limited partner, is raising $500 million for its debut fund, per an SEC filing. Source: EY Capital Confidence Barometer, based on survey of 2,600 senior executives. 41% of U.S. respondents to the EY survey said the main M&A theme of the next 12 months would be "an increase in private equity as a major acquirer of assets." It also led for non-U.S. respondents, but down at 31%. The second-place answer for both groups was "an increase in cross-sector M&A driven by technology and digital."